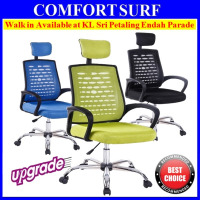 Design: Modern, fashionable. 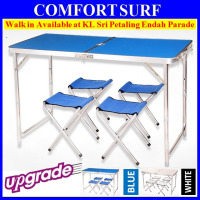 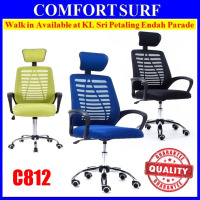 Comfortable backrest, Soft for relaxation. 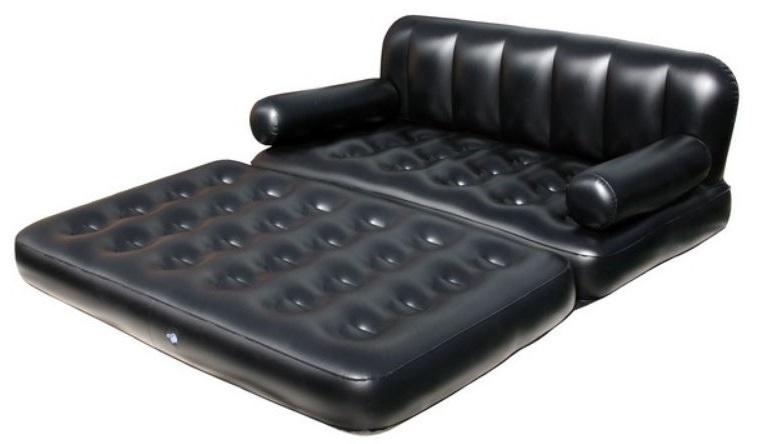 Unlock the buckles and extend the panel of the lower sofa to convert your sofa into a lounger. 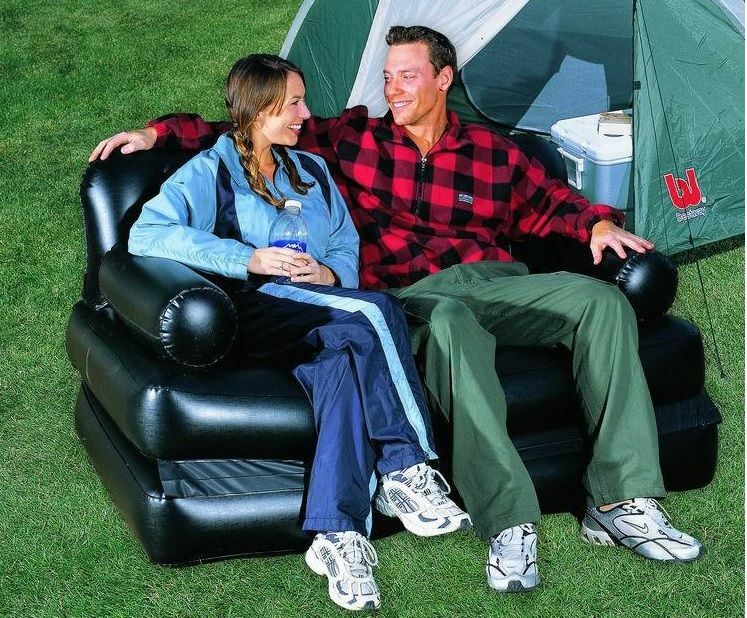 Turn the lounger upside down to change your lounger into a recliner. 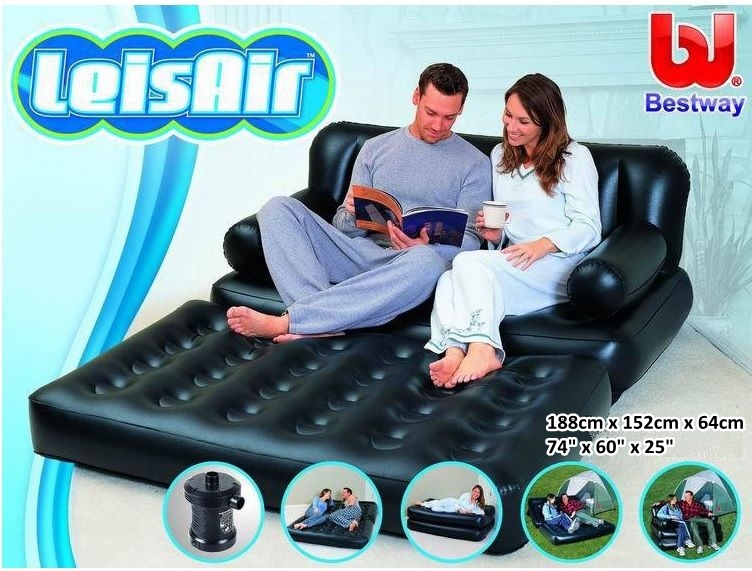 Just open the cap on the armrest & back support section and release the valve to deflate the recliner and convert it into a bed. 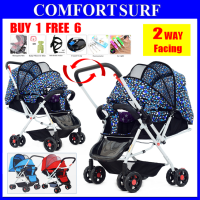 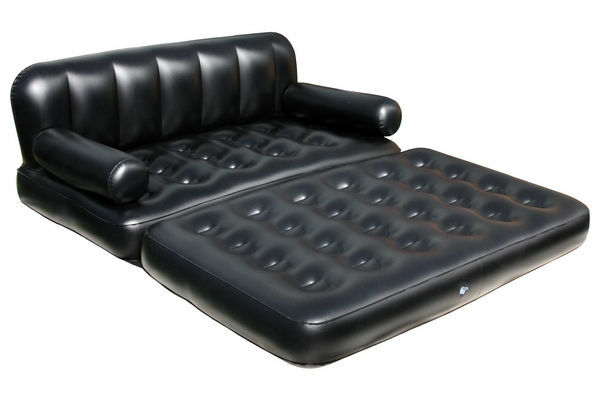 Buckle up the 2 bed panels together to have a high rise sleeper for kids. 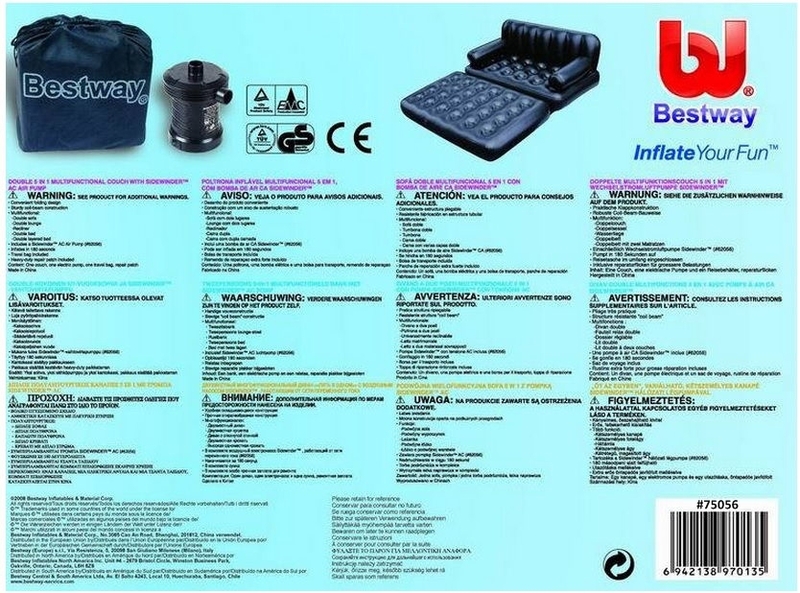 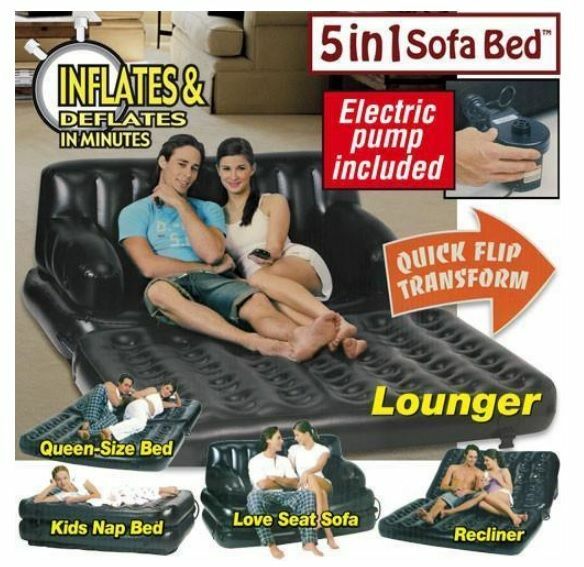 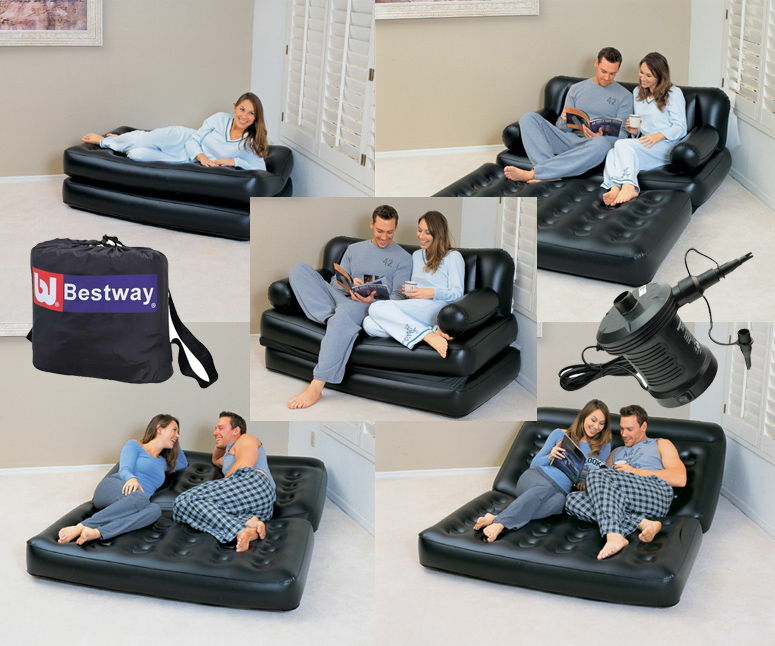 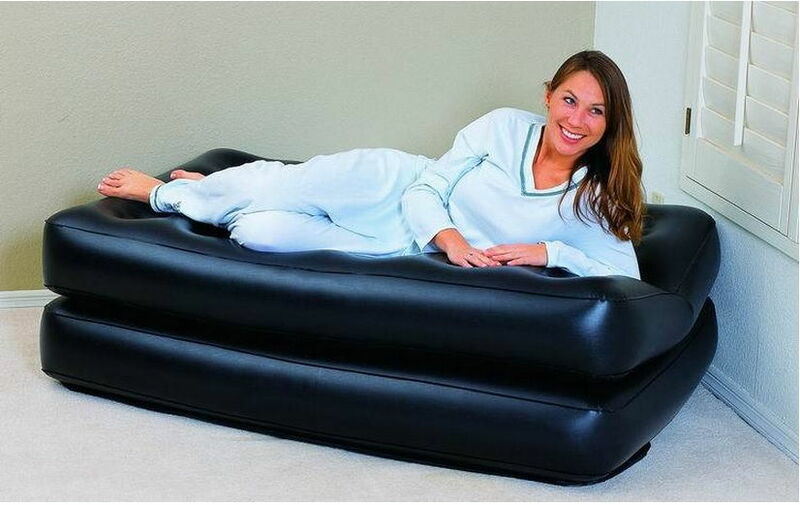 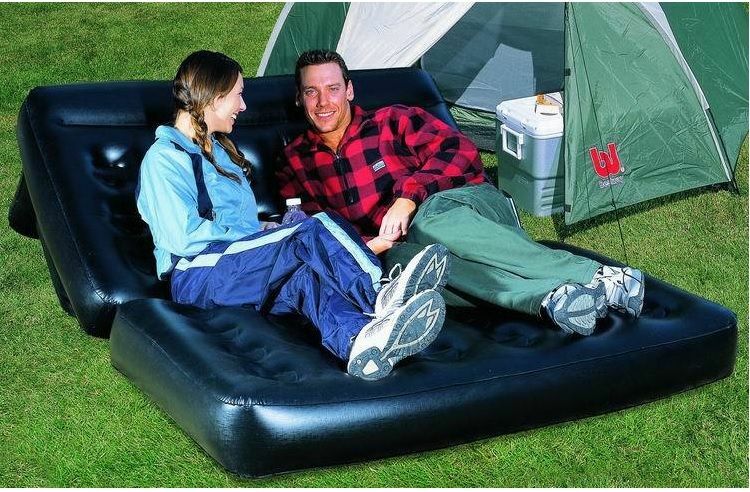 Inflate BestWay 75056 Double Sofa and leave inflated for 8 hour before use. 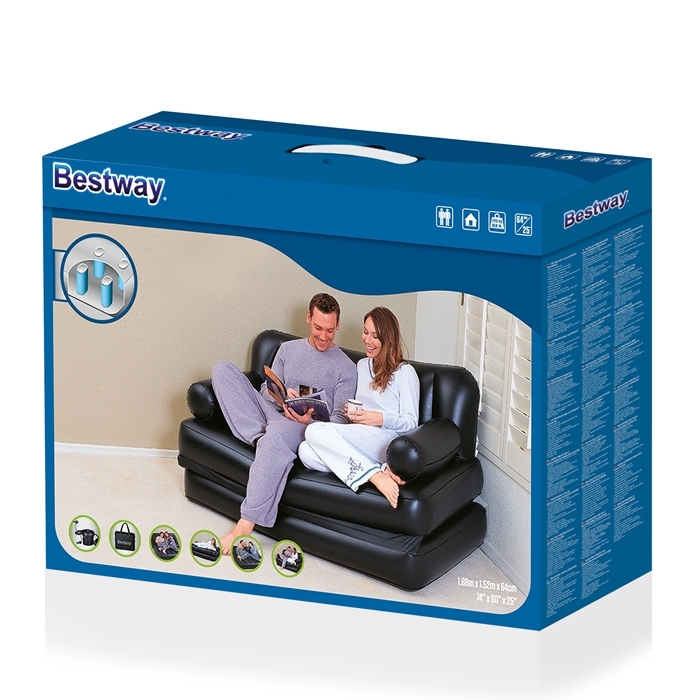 Space BestWay 75056 Double Sofa in an area free from sharp objects, abrasives and dirt.